Marinaside Resort – 1077 Marinaside Cr, Vancouver, BC, V6Z 2Z5. Marinaside Resort apartments were built by Concord Pacific in 2001 with 120 suites on 26 floors. Marinaside Resort townhouses are also in this development. 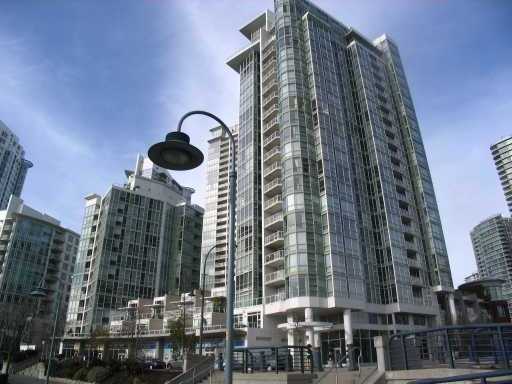 Marinaside Resort apartments are in North False Creek, waterfront on the False Creek seawall. The Marinaside resort building is within 5 minutes walk to the Yaletown Sky Train station, Urban fare and the Roundhouse community Center. In 10 minutes walk is the Granville entertainment district of downtown Vancouver. Coopers Park and David Lam Park are both less than 5 minutes walk. All Marinaside Resort Condos include floor to ceiling windows, waterfront views, in suite laundry, parking and a storage locker. The kitchens have granite counters and gas appliances with gas included in the strata fee. Marinaside Resort security features are a video surveillance system, restricted access entry and elevators, secure parking and the full time concierge.